In the summer of 2001, ancient tombs were reported to have been revealed and accidentally damaged during quarrying work at ‘Enot Shuni, approximately 3 km northeast of the modern town of Binyamina, at the southern edge of the Carmel Range. A preliminary surface investigation was subsequently conducted by M. Haiman and E. Yannai of the Israel Antiquities Authority. M. Peilstöcker, assisted by H. Cinnamon (GPS mapping), carried out an intensive survey of the area surrounding the southern part of the quarry. As a result of damage from quarrying activities, the original extent of the site remains unclear. One of the damaged tombs, excavated by D. Sklar in the summer of 2001, is dated to the Intermediate Bronze Age and the Middle Bronze Age II. Additional excavations by A. Gorzalczany in September 2001 revealed that a part of the site on the southwestern slopes of the quarry was covered by the remains of a small settlement dating to the Middle Bronze Age IIA. 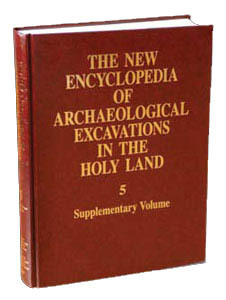 Further excavations that year, directed by M. Peilstöcker and D. Sklar, investigated more than 90 shaft tombs and additional Roman and Byzantine period remains.